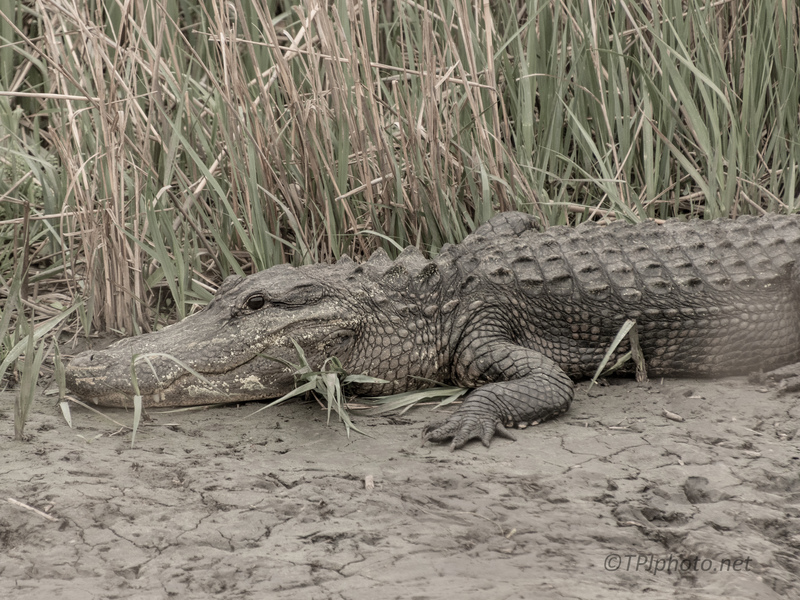 I wasn’t looking for Alligators, not that you have too. I spotted this one lying on the other side of a small marsh canal. I don’t think he was overly large, maybe 8 feet (2.5 meters). It’s not like there is anything around for perspective however there are a few signs. The one I use to gauge age, size, is the shape of the head and neck. If they have a large neck, thick throat, they are older animals. 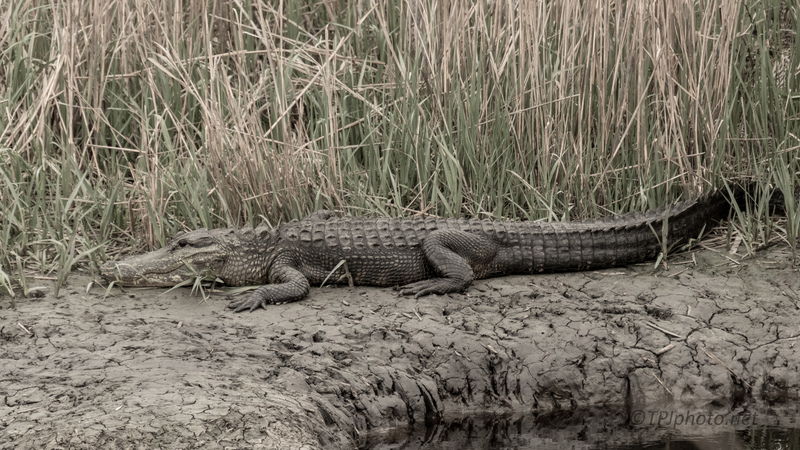 A little over half the length of an Alligator is his tail.